Today I have a super easy recipe for you. 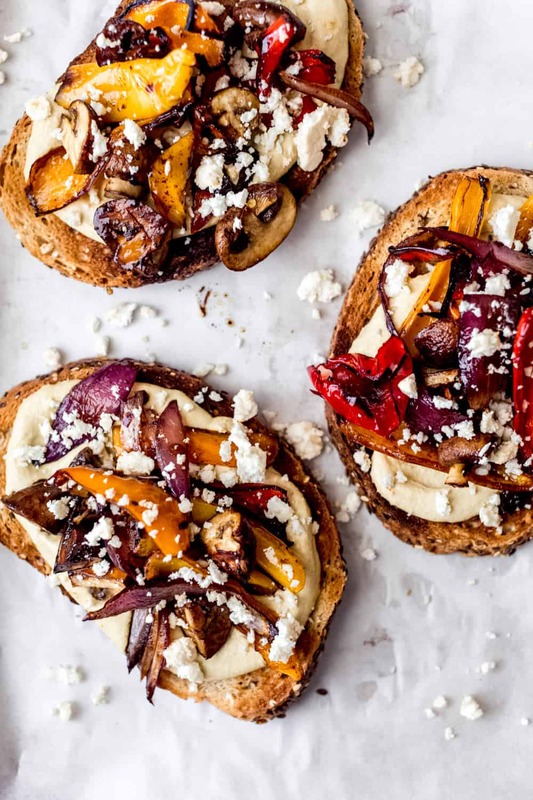 Roasted Vegetable and hummus Tartines have been on repeat at home, and they are pure perfection for lunch. But first, let’s chat about self care for a bit. A LOT has been said about self care lately. And I am here for it. When you think about it, we live in a world that that has glorified being constantly busy. But by being busy all the time and not allowing ourselves to just BE, we do a disservice to our mind and to our body. For years now, there’s been a variety of confusing information when it comes to food, especially carbs. I’ve always believed in balance. Besides not eating meat, and avoiding highly processed foods, meals at home are a rainbow made with wholesome ingredients. 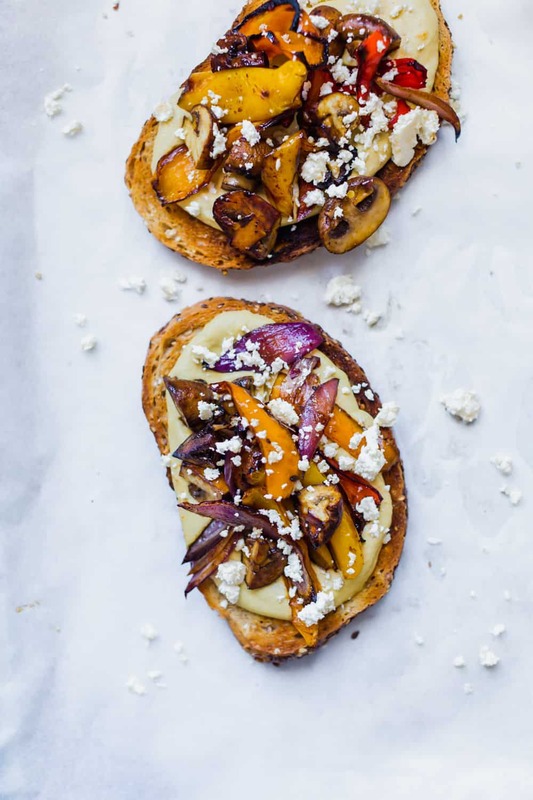 There’s always a bowl of fruit on our Kitchen’s island, whole wheat pasta in our pantry, sweet potatoes, peppers, cauliflower, countless avocados, greek yogurt and multigrain bread. You see, balance when it comes to food, is utterly important. I grew up in a home where I never hear the word “bad” when it came to any foods because the foods that we had at home included a bit of every food group. Every meal my mom made for me, and the ones I make for my family have whole grains and salad on the side. But we also enjoy French toast for brunch or waffles on Sunday. Because at the end of the day, there are no bad foods, but mindful choices and moderation. There are so many reasons why multigrain bread is a staple at home. Personally when I come from a run and don’t have 30 minutes to make lunch, a wholegrain toast with with avocado and egg is absolute perfection. Complex carbs, protein and healthy fats all in one simple, yet delicious meal. 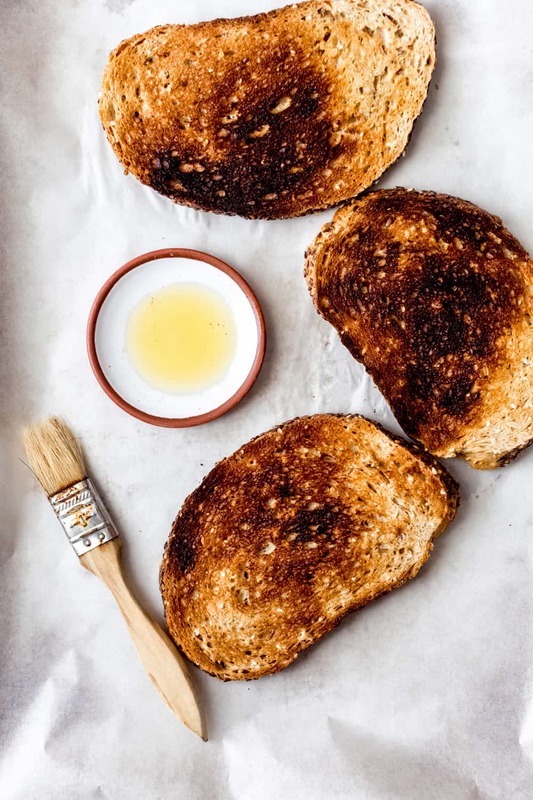 Bread adds energy to an active lifestyle: On days where I have a long run or intense workout ahead, I usually have a piece of multigrain toast with peanut butter before heading out. The bread’s complex carbohydrates, offer long lasting energy which keeps me going during my entire workout. Bread provides more fibre: Whole grain wheat contains tons of it, a key nutrient for digestive health. Great source of nutrients: The grains in bread contain calcium, iron, magnesium, folic acid and vitamin B6. As I don’t eat meat, I’m constantly looking out for foods that are high on vitamin B’s, and multigrain bread provides some of it in my diet. 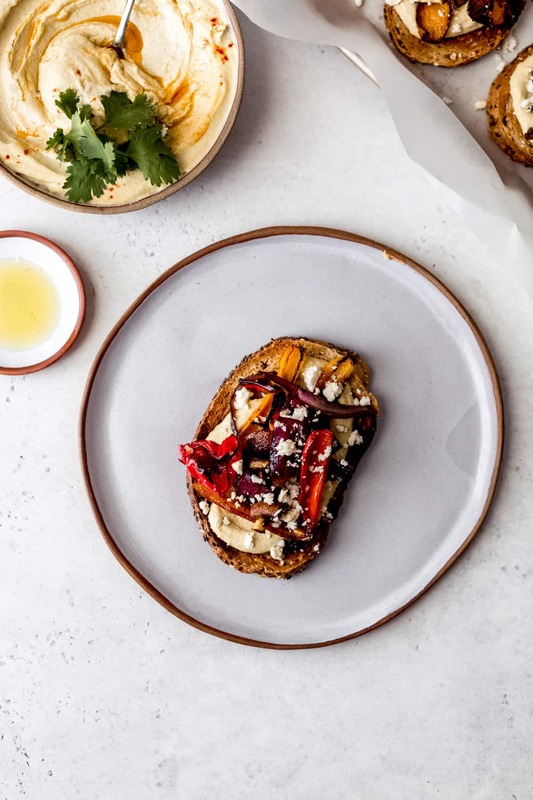 Plays happily with other foods: Avocado toast wouldn’t exist without a good slice of hearty sourdough bread, or some of my favourite brunch dishes like a cheesy strata or eggs Benedict. The possibilities are endless. So today, I want to share with you a recipe that has become a family favourite, and one that you’ll soon have on repeat at home. It is that good! 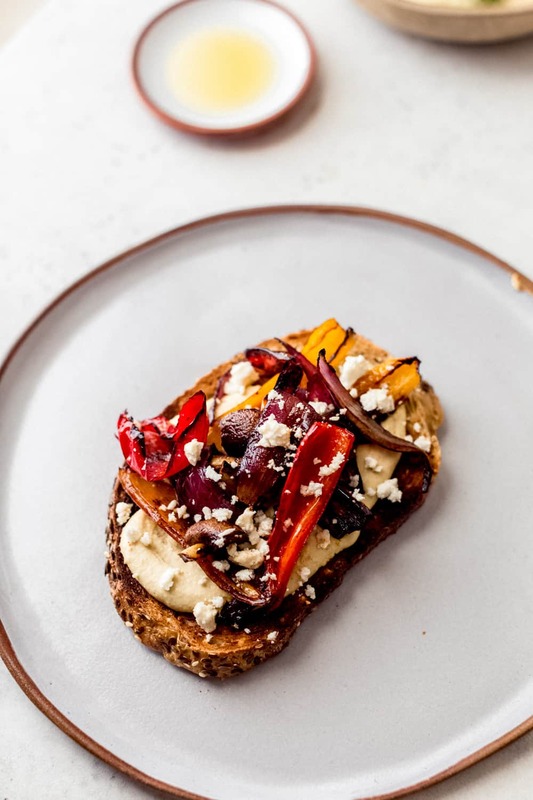 For these roasted vegetable tartines with hummus, the bread is deliciously crispy and gets topped with generous tablespoons of homemade hummus, vegetables roasted in olive oil and creamy feta cheese. 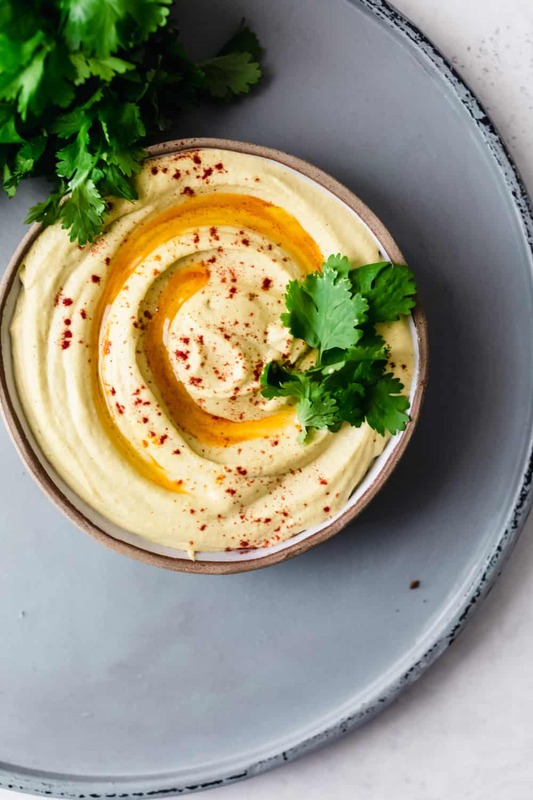 I hope you’ve made your own hummus before, but if you haven’t, you’ll love how creamy and garlicky this one is. 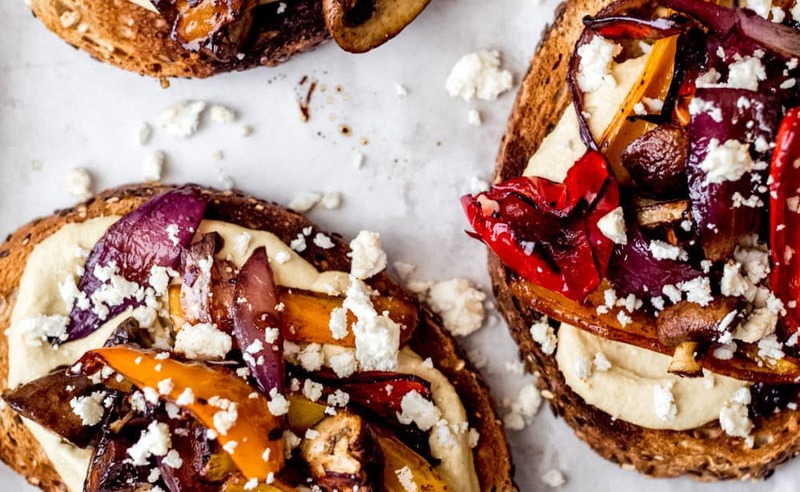 You can use regular tahini, but if you find smoked tahini, you’ll be in for a treat. This is a well rounded meal, that’s rich in complex carbs, protein and health fats. It became a hit from the day that I first made it, and I hope you get to try them soon. If you do, share it with me at www.instagram.com/dialaskitchen or #dialaskitchen I would love to hear how you liked it! This post was made in collaboration with Grain Foods Foundation, however all views, opinions and recipe creation are my own. These look amazing! Cannot wait to make them tonight, thanks for this great recipe! Thanks amiga! They are so easy to put together! 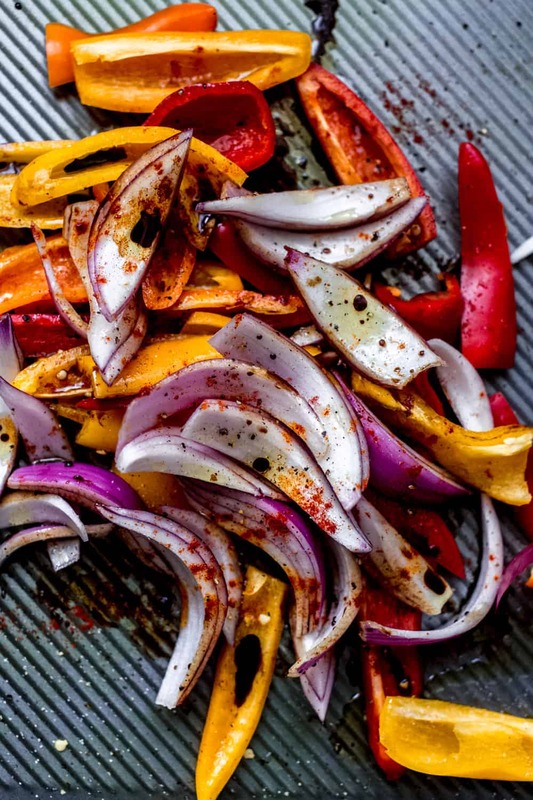 Love roasted veggies! I often make sandwiches like this with the hummus. So great! Its makes for such a delicious and uncomplicated lunch!